Nicotinic acid is a vitamin that enters the body with food and is also synthesized in the liver from the amino acid tryptophan. In the human body, the compound is converted into nicotinamide. The substance was discovered 100 years ago by the American epidemiologist Joseph Goldberger as a “Pellagra Preventing” remedy. Hence the other name of the compound - vitamin PP. That's not all. So, all the "names" of vitamin PP - nicotinic acid, niacin, B3. Vitamin PP is a participant in dozens of biochemical processes in the body. The compound promotes the formation of enzymes necessary for cellular respiration. The substance stimulates carbohydrate, lipid and protein metabolism. After cleavage in the liver, it is excreted by the kidneys as a metabolite. Why do you need this vitamin? · Provides normal functioning of the brain. · Responsible for the usefulness of vision. · Supports the health of hair, nails, skin, oral mucosa. · Lowers blood pressure, cholesterol levels in tissues and blood. · Prevents the development of cardiovascular failure. · Prevents the transformation of normal cells into cancerous cells. · Opposes the attacks of free radicals. · Stabilizes the level of sugar in the blood. · Participates in the functioning of the digestive system. Vitamin PP is used as a medicine. In people with diabetes mellitus, it prevents the destruction of the pancreas. Taking the drug can reduce the dose of insulin injected. Nicotinic acid is included in the treatment of arthritis, as it helps to reduce pain, improves joint mobility. Vitamin B3 has a mild sedative effect, so it is prescribed for nervous disorders caused by prolonged stress, alcoholism. For a normal life, an adult needs to consume 20 mg of nicotinic acid per day. For pregnant and lactating women, the figure is higher - 25 mg. Infants obtain the required amount of vitamin B3 (2-6 mg) with the mother's milk. Children up to three years need 8 mg of nicotinic acid, up to eight years - 10 mg, to thirteen years - 12 mg. Teenagers need vitamin PP in the same amount as adults. The use of alcoholic beverages leads to the deficiency of nicotinic acid in the body. Lack of this vitamin can be observed with an unbalanced diet. The deficiency of the element also arises in cases when its expenditure sharply increases. This occurs in conditions of physical and mental overstrain, prolonged intoxication, digestive tract disorders. You need vitamin PP in large quantities if you work at high or low temperatures, sweat profusely. Systematic shortage of nicotinic acid leads to pellagra - a vitamin deficiency, accompanied by diarrhea and dermatitis. The disease involves motofacient movement disorder, limb paralysis, and dementia. · frequent constipation and diarrhea. With vegetarianism and raw food, you need to make sure that there is enough vitamin PP in the diet. In some cases, when there is a prolonged lack of nicotinic acid, special preparations may be required. However, the doctor should prescribe medicinal supplements, since an excess intake of vitamin PPIs also dangerous to health. It leads to the appearance of an itchy rash on the face and neck, fainting. Long-term use of the drug may cause liver dystrophy. The best option is to adjust the diet, including foods rich in nicotinic acid. The main plant sources of vitamin PP are as follows. · Dried mushrooms. To obtain a daily norm of nicotinic acid, an adult needs to eat 24 grams of dry orange-cap boletus or 32 grams of boletus per day. · Peanut flour contains 35.5 mg of niacin.105 g of peanuts or 150 grams of paste can cover the daily need for nicotinic acid. · Rice bran (60 grams per day) can be added to salads, pastries or soups. Vitamin PP is present in them in an amount of 33.9 mg.
· Dry spirulina contains 28.3 mg. Thus, you should eat 70 g of seaweed per day. 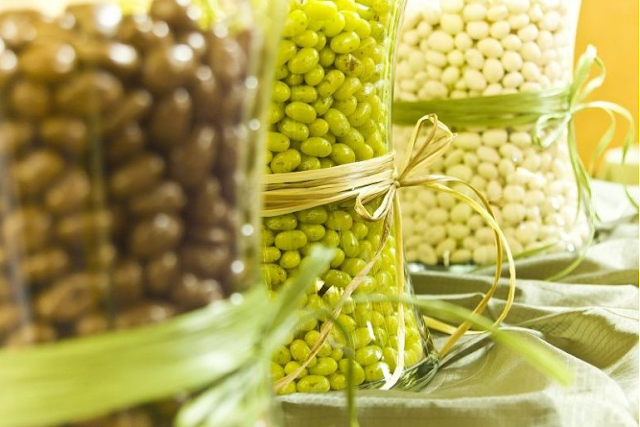 · 150 grams of pistachios cover the daily requirement. Cedar nuts and fried sunflower seeds are needed in the amount of 240 g. Cashews– 280 g.
· Fresh mushrooms. 10.3 mg of vitamin PP is present in 100 grams of honey fungus, 6.4 mg – in russules, 5.6 mg – in champignons. · Wheat contains 7.5 mg of nicotinic acid, bread - 5.93 mg, sprouted grains - 4.5 mg.
· Green peas are also rich in niacin. The recommended amount of the product for children is 100-180 g, for adults - 300 g.
· Sesame (100 g) contains 4.5 mg of nicotinic acid. Sesame seeds can be added to the main courses. 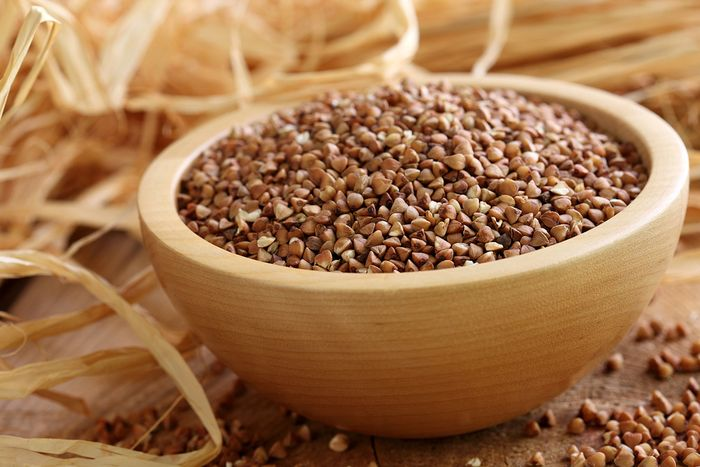 · Buckwheat groats (100 g) supply 4.2 mg of the vitamin to the body. Mediated sources of nicotinic acid are products rich in tryptophan. These include peanuts, almonds, cashews, soybeans, pine nuts, sunflower seeds . From 100 g of these products, the body receives 300-750 mg of amino acid, which is transformed in the liver into 5-12.5 mg of vitamin B3. Soak in a glass of water 15 g of dried white mushrooms for a quarter of an hour. Cut into cubes 500 g of pumpkin flesh. Grind one onion. Pour water with mushrooms into a saucepan. Cook half an hour on medium heat. Fry in olive oil pumpkin with onion for 5 minutes. Put the mushrooms. Add enough water to the broth to make 200 ml. Throw the fried vegetables in the boiling broth. Stew for 5 minutes. Lightly fry cooked mushrooms. Blend ready soup in a blender. Serve with mushrooms and fried pumpkin seeds. This is one of the most popular dishes in Nederland and people mix it with some other pleasures. Lightly grind the chopped onions (bulbs) in the saucepan, and cut champignons into thin slices (300 g). Add a pinch of cumin. If you want, season with salt and pepper. Put 100 g of brown rice into the saucepan and add water. After boiling, reduce the heat to a minimum. Boil the rice until ready. Throw 450 g of green peas. Mix everything and cook for 2 more minutes. Add fresh basil and remove from the range. Slice the fresh zucchini (100 g) into cubes. Grind fresh mushrooms (100 g) with plates. Mix zucchini with mushrooms. Add chopped leaf beet (50 g). Salt if necessary. Season with olive oil. When you correct the nutrition, you should bear in mind that nicotinic acid in cereals has a tightly bound form. Naturally, this complicates the process of digesting the body's vitamin. Another thing is legumes. Vitamin PP is found in an easily digestible form in peanuts, peas, beans, lentils, chickpeas, and soy. Absorption of nicotinic acid by the body is hampered by malabsorption - a chronic disorder of digestion, transportation, and absorption of nutrients in the intestine. Disturbance in the absorption of vitamin B3 is observed in the elderly. With regard to the process of obtaining nicotinic acid from tryptophan, the reaction requires a sufficient number of elements such as iron, pyridoxine, riboflavin. Vitamin B2 is found in brewer's yeast, almonds, mushrooms, broccoli, white cabbage, buckwheat. Plant products rich in iron include dried fruits, vegetables, nuts, dark greens, legumes. Sources of vitamin B6 are unrefined cereals, avocados, bananas, carrots, spinach. It should be noted that nicotinic acid is a fairly stable compound. Vitamin PP does not lose its properties when interacting with acids and alkalis when drying, freezing, and during a long-term storage. Only heat treatment is destructive for it. Up to 40% niacin is destroyed in the process of frying. Loss of vitamin PP will be less if you cook foods in a small amount of water.